Get Your Smile Summer Ready with Cosmetic Dentistry in Farmington! For months, you’ve been waiting on summer to get here, a time reserved vacations, weddings and other special events. Because you have so many plans for this period of the year, it’s a great time to make improvements to your smile with cosmetic dentistry in Farmington. As your read on, you’ll learn how you can enjoy an award-wining smile and make the type of impression you desire. There will be several opportunities to pose for pictures this summer, but if you’re struggling with dental stains, then you may be reluctant. 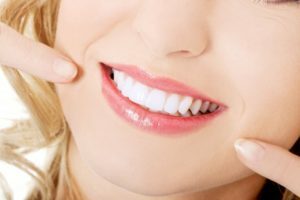 A remedy for that is teeth whitening in Farmington from your local professional. This process will brighten your teeth, drastically, and leave you with a smile that lights up the room. In-Office Whitening – Usually, this procedure takes 1-2 hours to complete and only requires one dental visit. By the time the appointment is over, you’ll leave your dentist’s office looking and feeling like a brand-new person. At-Home Whitening – If you’re looking to improve the look of your teeth in the comfort of your home, then this method is perfect for you. Your dentist will pre-design your treatment process and create custom trays that you’ll add the professional-strength gel to. You’ll notice initial improvements, but the more noticeable changes will be visible in 10 to 14 days. Why is Summer the Best Time for Cosmetic Dentistry? Summer is the prime time to improve your smile to go along with your amazing tan. That means that graduations, anniversary celebrations, reunions and other occasions won’t catch you off guard. Instead, with your beautiful new smile, you’ll be able to make the type of impression that you want, and you’ll own the camera! But, is all of this just shallow vanity? Whether it’s with teeth whitening or some other form of cosmetic dentistry, improving the way you look impacts the way you view yourself. Studies have shown that the better you feel about yourself, the more positive effect it has on your hormone output and your overall health. Lacking self-esteem produces more stress hormones like cortisol and adrenaline. They’re great to be present if a bear is chasing you, but to have them in your bloodstream on a daily basis is taxing on your body and immune system. Conversely, when you are happier with yourself, there is heightened production of endorphins, dopamine and other hormones that improve the environment of your body, making it more conducive to excellent health. So to get both the aesthetic and health benefits of cosmetic dentistry and to smile with confidence this summer, reach out to your dentist to schedule a consultation today! Dr. James Cole earned his DDS degree from Baylor College of Dentistry and has gone on to provide excellent care to his patients in the four corners region for over twenty years. He holds membership in several professional organizations and is one of only 3% of all dentists in the U.S. with membership in the American College of Dentists. Eager to help you get your smile summer-ready, Dr. Cole practices at Integrity Dental and can be reached for more information through his website. Comments Off on Get Your Smile Summer Ready with Cosmetic Dentistry in Farmington!